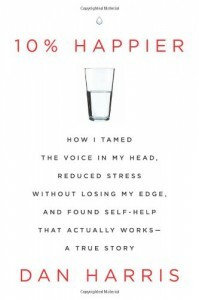 I only sort of knew who Dan Harris was before reading this and I’ve always felt a little bit skeptical about the amazing healing powers of meditation. That being said this book really surprised me. I really liked how open Harris was with his life and the things that led him down his meditation journey. I loved that he shared the struggles he had with it instead of getting a book filled with platitudes that seem like a bill of goods. Since reading this book I haven’t suddenly started devoting my time to meditation, but I am more open to trying it and I feel less cynical about it all so I’d count that as a win.